Giovanni Knight is the President and a third-year student. Currently, she works with the School of Business Office of Student Engagement as the assistant mentoring coordinator in charge of data analysis. She also works with Residential Leadership and Housing in the Residential Leadership Center as the Senior Programming Assistant in charge of providing creative support to Resident Assistants relating to on-campus resident programming. Her favorite hobbies include meditating, reading, writing, and listening to music. 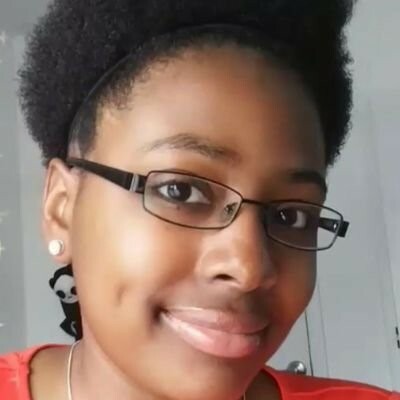 She hopes to gain an internship in data analysis and business intelligence that will lead to a full-time position where she can analyzes data and create presentations all day long. Jonathan Baracat currently serves as the Vice President for AITP. He’s a first semester Junior majoring in Information System and is a part of Alpha Kappa Psi. Jonathan has been working as Desktop Support technician for VCU’s technology administration department for two years now. He hopes to gain more experience this upcoming summer by getting an internship in the areas of Computer Networking or IT project management. Akshita Sharma is the current secretary of AITP@VCU, and is a junior majoring in Information Systems. Currently she works for Wells Fargo as a part time bank teller but hopes to move to their IT development program in the near future. In addition to that her hobbies include music, and art, and she enjoys spending time with her family and friends in her free time! She joined AITP in order to network, find internships, and learn about all the great opportunities in the growing field of Information Systems. Akshita is passionate about data intelligence and cyber security and hopes to pursue a career in those field during the future. George Akpakli is the Technology Officer for AITP. He is a Junior and a Information Systems Major. George currently works for the VCU IS Department as a Network Technician and is highly passionate about technology. He hopes to gain an internship in cyber-security / computer security to gain experience in this field. Daniela Quiroga-Rodriguez is currently a senior pursuing a Bachelor's degree in Information Systems and an Undergraduate Certificate in Product Innovation through the Da Vinci Center, with a minor in Statistics at VCU. She serves as Social Media Strategist for AITP and as National Accreditation Chair for Tri Sigma Sorority. Daniela possesses strong analytical and problem solving skills, and has the aspiration to provide useful insights from data and the use of technology. She succeeds in fast-paced, diverse and ambitious environments. She is passionate and committed to initiatives that merge innovative business strategies with a purposeful mission. Daniela seeks opportunities in data science, AI development and virtual reality. Claudya Lee-Herrera is a junior and ½ of the social media chair for AITP. She is part of Alpha Kappa Psi and studies Information Systems. Claudya joined AITP because she enjoyed attending guest speaker sessions and attending the career fair specialized for Information Systems majors. Jerron Norman is a Junior majoring in Information Systems and Accounting from Richmond VA. He is currently the Recruiting Officer for AITP. His goal upon graduation is to work as an Business Analyst or IT Consultant/ Auditor creating business solutions for clients. 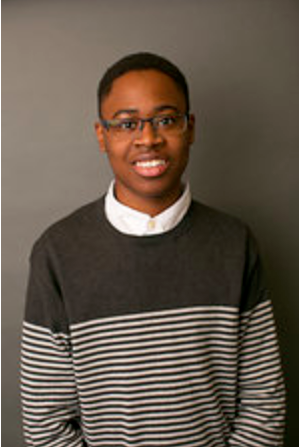 Outside of work and school, Jerron enjoys cooking, art, and exploring Richmond. Copyright © 2019 Association of Information Technology Professionals. All rights reserved.